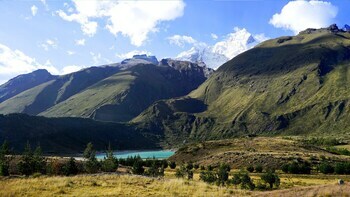 With a stay at Llanganuco Mountain Lodge in Yungay, you'll be 7.7 mi (12.3 km) from Llanganuco Lake and 15.5 mi (24.9 km) from Yungay National Cemetery. Featured amenities include dry cleaning/laundry services, luggage storage, and a library. A roundtrip airport shuttle is provided for a surcharge (available 24 hours), and free self parking is available onsite. When you stay at Internazionale Hotel Restaurant in Ayacucho, you'll be near the airport and 14 minutes by foot from Hipolito Unanue Museum. Free self parking is available onsite. Located in Puno, HOSTAL EL INTI is minutes from Coca and Costumes Museum and Pine Park. Featured amenities include luggage storage and laundry facilities.